his blog is about how to configure the webhook product in Facebook and integrate it in the ASP.NET Application. 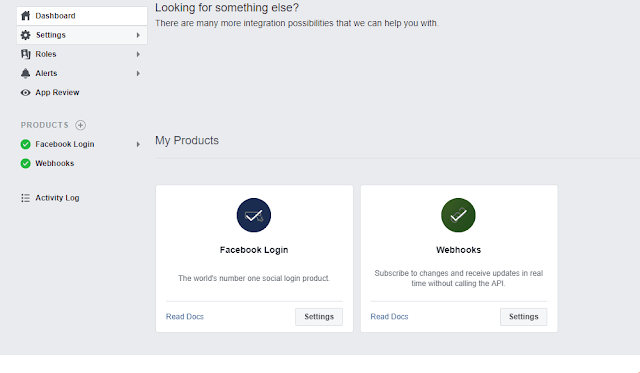 Facebook added a product called Webhooks to subscribe to the changes and receive updates in real-time without calling the API. This blog is about configuring the webhook product in Facebook and integrating it in the ASP.NET Application. In the case of Facebook Webhook, the user who wants to get notified for the newest post updated on the page is the subscriber. Publishing and hub part will handled by Facebook itself. //You got the data do whatever you want here!! !Happy programming!! Here, [GET] end-point will be called once you subscribe to the Facebook Webhook with the hub.challenge token. You should echo back with the same for verification purpose. The post is the endpoint which you are exposing to get notified on the updates. You can get the complete code in the Git. Now, we need to Configure Facebook. New Subscription > Page . API URL needs to give here. In our case its "api/webhooks". Note: You need to give http/https URLs. "localhost" is not allowed in the app. You can use ngrok for exposing your port public. Once you verify this you will get hit in the get endpoint we configured with hub.challenge in the query. We are returning back to the same challenge at the endpoint. Once Subscription is created, select names you're interested in and subscribe. You can test the sample notification by clicking the "Test" button. On the test, you will be able to see the model of the request that we have created in the application model named as "Feed" in the post request. Just below, in the Token ComboBox, select your Page. We are done with it! Now try adding a new post to the page and check to get notified.